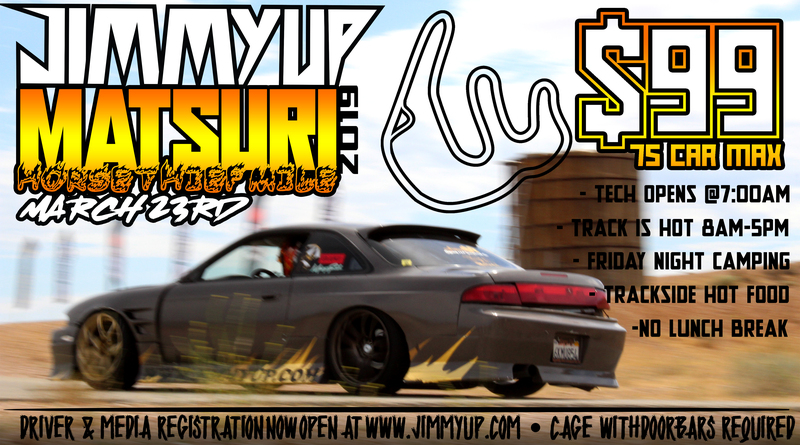 Jimmy Up goes to HTM for 2019 Matsuri! Please read full Tech requirements before signing up! No refunds will be issued, selling spots for more than you paid will result in a ban from all Jimmy Up events! No Cage/No Tandem Run Group Available! - Harness/seatbelt must be secured properly, and connected to a location/at an angle that will not cause bodily harm in the instance of a crash. - Fire Extinguisher must be mounted in reachable location. - All wheel-studs and lug-nuts must be present and secured. Have questions about driving, media, vending or specatiting? Ask here! 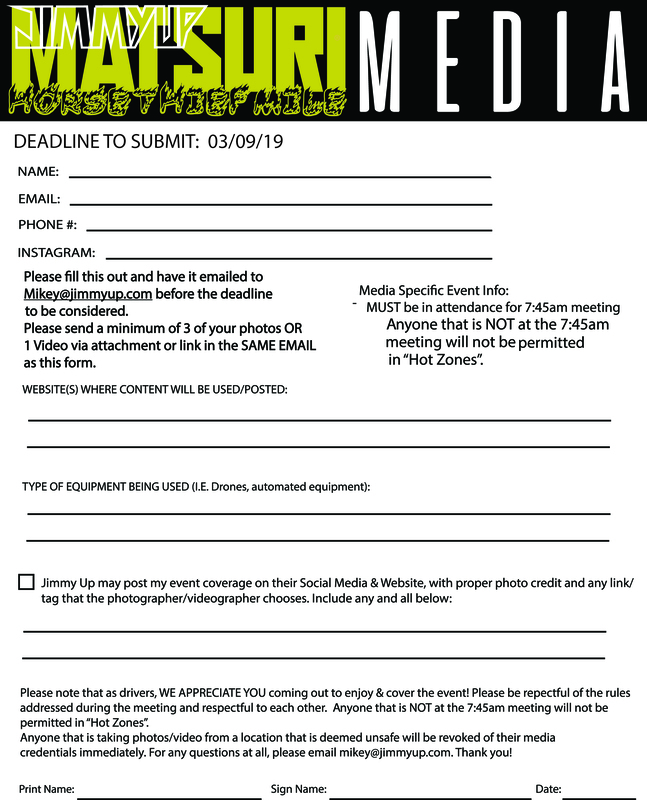 This contact form is for Event questions and inquiries only! Are you a Driver, Media, or Vendor?